Compare a wide range of premier travel insurance products from the top U.S. insurance providers at InsureMyTrip.com, the foremost travel insurance comparison website. InsureMyTrip makes it easy to find the best rates, benefits, and coverage options for protecting your trip investment and personal well-being. For coverage that meets all of your travel protection needs visit us online or call to speak with a licensed insurance representative today. Vikki Corliss, Director, Public Relations and Communications was on the December 1, 2012 "Travelers411" Radio Show in hour 3. Vikki Corliss was also on the November 25, 2012 "Travel with Stephanie Abrams!" Radio Show in hour 1. Vikki Corliss was also on the October 28, 2012 "Travel with Stephanie Abrams!" Radio Show in hour 3. Vikki Corliss was also on the October 27, 2012 "Travelers411" Radio Show in hour 2. Vikki Corliss was also on the September 22, 2012 "Travelers411" Radio Show in hour 1. Vikki Corliss was also on the August 12, 2012 "Travel with Stephanie Abrams!" Radio Show in hour 1. Vikki Corliss was also on the May 27, 2012 "Travel with Stephanie Abrams!" Radio Show in hour 1. Vikki Corliss was also on the May 13, 2012 "Travel with Stephanie Abrams!" Radio Show in hour 2. Vikki Corliss was also on the April 15, 2012 "Travel with Stephanie Abrams!" Radio Show in hour 3. 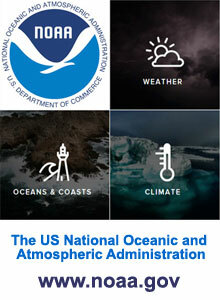 Vikki Corliss was also on the March 4, 2012 "Travel with Stephanie Abrams!" Radio Show in hour 1. 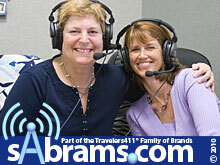 Vikki Corliss was also on the December 31, 2011 "Travelers411" Radio Show in hour 2. Vikki Corliss was also on the December 24, 2011 "Travelers411" Radio Show in hour 3. Vikki Corliss was also on the December 18, 2011 "Travel with Stephanie Abrams!" Radio Show in hour 2. Jim Grace, President and CEO was on the July 8, 2012 "Travel with Stephanie Abrams!" Radio Show in hour 1. 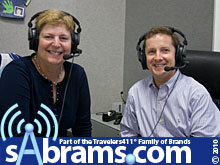 Jim Grace was also on the June 9, 2012 "Travelers411" Radio Show in hour 2. Jim Grace was also on the November 20, 2011 "Travel with Stephanie Abrams!" Radio Show in hour 1. Jim Grace was also on the November 12, 2011 "Travelers411" Radio Show in hour 3. Jim Grace was also on the November 6, 2011 "Travel with Stephanie Abrams!" Radio Show in hour 2. Jim Grace was also on the October 15, 2011 "Travelers411" Radio Show in hour 3. 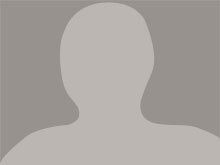 Jim Grace was also on the September 11, 2011 "Travel with Stephanie Abrams!" Radio Show in hour 2. Jim Grace was also on the September 4, 2011 "Travel with Stephanie Abrams!" Radio Show in hour 2. Jim Grace was also on the August 21, 2011 "Travel with Stephanie Abrams!" Radio Show in hour 2. Jim Grace was also on the July 31, 2011 "Travel with Stephanie Abrams!" Radio Show in hour 1. Jim Grace was also on the July 24, 2011 "Travel with Stephanie Abrams!" Radio Show in hour 2. Jim Grace was also on the July 3, 2011 "Travel with Stephanie Abrams!" Radio Show in hour 1. Jim Grace was also on the June 26, 2011 "Travel with Stephanie Abrams!" Radio Show in hour 2. Jim Grace was also on the June 12, 2011 "Travel with Stephanie Abrams!" Radio Show in hour 1. Jim Grace was also on the April 17, 2011 "Travel with Stephanie Abrams!" Radio Show in hour 1. Jim Grace was also on the April 3, 2011 "Travel with Stephanie Abrams!" Radio Show in hour 3. Jim Grace was also on the March 20, 2011 "Travel with Stephanie Abrams!" Radio Show in hour 1. Jim Grace was also on the March 6, 2011 "Travel with Stephanie Abrams!" Radio Show in hour 1. Jim Grace was also on the February 20, 2011 "Travel with Stephanie Abrams!" Radio Show in hour 2. Jim Grace was also on the February 6, 2011 "Travel with Stephanie Abrams!" Radio Show in hour 2. Jim Grace was also on the January 30, 2011 "Travel with Stephanie Abrams!" Radio Show in hour 3. Jim Grace was also on the March 14, 2010 "Travel with Stephanie Abrams!" Radio Show in hour 2. Jim Grace was also on the February 14, 2010 "Travel with Stephanie Abrams!" Radio Show in hour 1. Jim Grace was also on the December 20, 2009 "Travel with Stephanie Abrams!" Radio Show in hour 3. Jim Grace was also on the October 11, 2009 "Travel with Stephanie Abrams!" Radio Show in hour 1. Jim Grace was also on the October 4, 2009 "Travel with Stephanie Abrams!" Radio Show in hour 3. Jim Grace was also on the September 20, 2009 "Travel with Stephanie Abrams!" Radio Show in hour 3. Jim Grace was also on the September 6, 2009 "Travel with Stephanie Abrams!" Radio Show in hour 2. Jim Grace was also on the August 2, 2009 "Travel with Stephanie Abrams!" Radio Show in hour 2. Jim Grace was also on the March 22, 2009 "Travel with Stephanie Abrams!" Radio Show in hour 2. Jim Grace was also on the February 1, 2009 "Travel with Stephanie Abrams!" Radio Show in hour 1. Peter Roca, Customer Care Team Manager was on the May 1, 2011 "Travel with Stephanie Abrams!" Radio Show in hour 2. Lynne Peters, Customer Care Team Manager was on the May 8, 2011 "Travel with Stephanie Abrams!" Radio Show in hour 3.